This week, Ryan reviews two comedies, one drama and a 10-part miniseries: “Manhattan Love Story,” “Bad Judge,” “Stalker” and “Gracepoint.” Plus, he checks out a show he missed from last week: “Madam Secretary.” All times are eastern. If you’re looking for a show that came out this week not covered here, it was covered in part one of the pilot watch. The two leads are on the right. One-sentence summary: It’s a New York City romantic comedy about two unpleasant people, but the action is peppered by their thoughts in voiceover in case you had any remaining empathy for them. 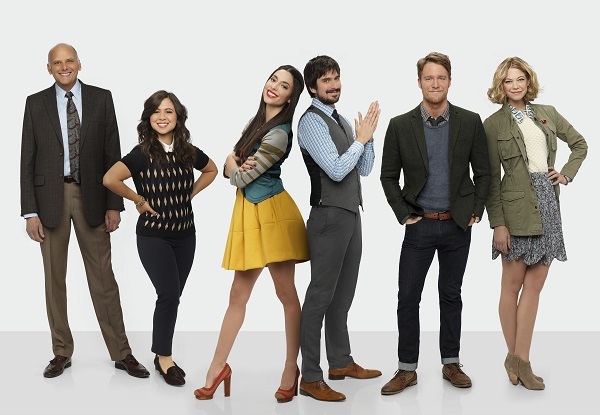 Much has been made of “Manhattan Love Story’s” opening sequence, in which lead characters Peter (Jake McDorman) and Dana (Analeigh Tipton) check out passing women’s breasts and handbags, respectively, each character remarking lustily about the object of their attention in their internal monologues. I don’t have a lot to add to that conversation, but I do have something else to say about the show’s regressive views on gender. Let’s forget for a moment that the show is not funny, relying on stale writing and broad performances. Let’s forget that the show is far too pleased with its thoughts-as-voiceover conceit, which fails as a joke delivery system but succeeds mightily in making the leads even more unlikeable. Even if if the rest of the show was executed well, it would still suffer from an icky double standard: both characters have serious serious shortcomings, but Peter is portrayed as a loveable goofball (think a toned-down Barney from “How I Met Your Mother”) while Dana is portrayed as a cute but hopeless basket case. This double standard is most on display during the couple’s first date, in which Peter sneaks a peek at Dana’s bra and then is lauded for his mental observation that her scolding him for doing so is “feisty.” After this moment and a few others in which Peter acts rather caddish, Dana thinks, “He thinks we’re going back to his place. I hate that he’s right.” Throughout the pilot, Peter behaves like a jerk and mostly gets away with it, while Dana chides him for things he doesn’t deserve to be chided about, fumbles with technology and generally behaves like someone’s 1950s-era impression of a pushover, air-headed woman. If the premise doesn’t turn you off, that should. One-sentence review: It’s a Los Angeles crime procedural, but every case involves stalking in some way. Like “Manhattan Love Story,” “Stalker’s” pilot boasts an opening scene that really sets the tone: a stalked woman arrives home, where a man wearing a creepy mask douses her and her car with gasoline and lights them both on fire, killing her when the car erupts in a fiery blast. Later, the motive given for the killing makes little sense – until, that is, you remember that “Stalker” creator Kevin Williamson is also behind “The Following,” whose pilot ends with the jump reveal of a young woman who has been murdered, trussed up and had her eyes gouged out. Much like cable news networks, Williamson knows that violence against pretty ladies sells, and he’s here to give the people what they won’t say they want. Besides the show’s barely concealed voyeurism into a very real crime – and this does often feel like you’re watching a fictionalized “Dateline” – “Stalker” also feels the need to tie seemingly every character into stalking somehow. While the main stalking case is going on in the pilot, the show also makes time for a less violent but still creepy male-on-male case at a local college (the only part of the episode that shows the least bit of nuance). The resolution to this case is that the lead detective of the LAPD’s stalking unit (Maggie Q) beats the crap out of the accused stalker and then might start stalking him to teach him a lesson (the show leaves this somewhat vague). Meanwhile, he begins stalking her, and the show also implies that she has/had another stalker at some point in time. 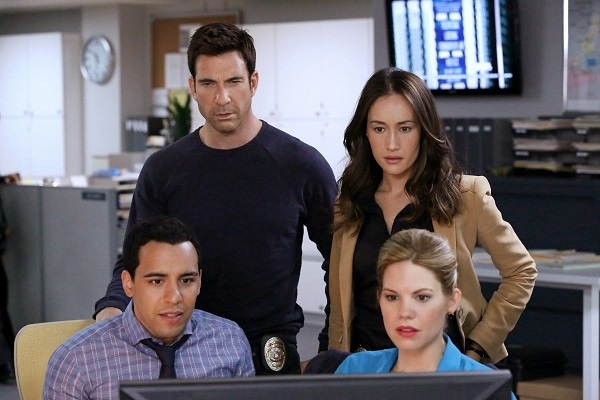 Finally, new detective Jack Larsen (Dylan McDermott) transfers from the east coast to the LAPD unit because he, too, is stalking someone: the mother of his child, who won’t let him see his son. It’s almost as if no one would ever become a detective unless he or she had some very personal, crime-related reason to do so. You can’t just dislike stalking to be in “Stalker’s” detective team; the crime must be perpetrated against or by you. One-sentence summary: It’s the adventures of the titular bad judge (Kate Walsh) as she upholds the law while engaging in questionable and quirky behavior. 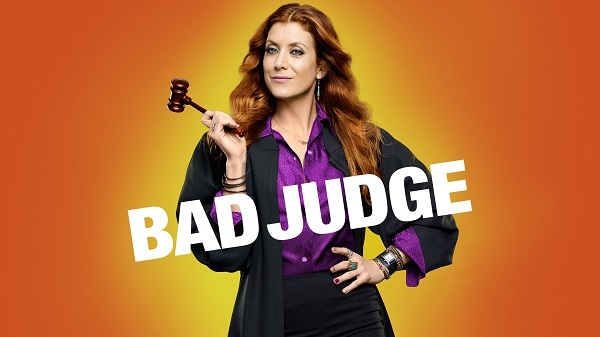 “Bad Judge’s” original pilot reportedly portrayed her acting “badder” than she appears in the one that made it air. That’s too bad, because while it is possible to make a transgressive comedy that goes too far, it’s still more interesting than a comedy that thinks it’s being transgressive when it’s really not. And let’s not pretend like this ever could have been too transgressive: it’s a comedy airing on NBC, a network that has tried to excise everything remotely non-mainstream from its lineup in the last few years. Walsh’s Judge Rebecca Wright does use her chambers as a love nest with one of the defense attorneys she knows from work, but other than that she’s just kind of slobby and sassy. She spends most of the pilot helping a young boy whose parents are in prison, which is only “bad” behavior because her uptight boss wants her to focus more on work. But she does listen to the Red Hot Chili Peppers and guzzles giant sodas at work, so, you know, edgy! In a fall with some pretty bad network pilots, “Bad Judge” isn’t terrible. There are a few laughs, and Walsh wrings what charisma she can out of her cliched character type. In the end, “Bad Judge” is just quietly boring, not shouting its awfulness from the rooftops like many of its compatriots. One-sentence summary: A young boy is murdered in a small town, and the local detectives try to solve the crime as the community and family reacts. 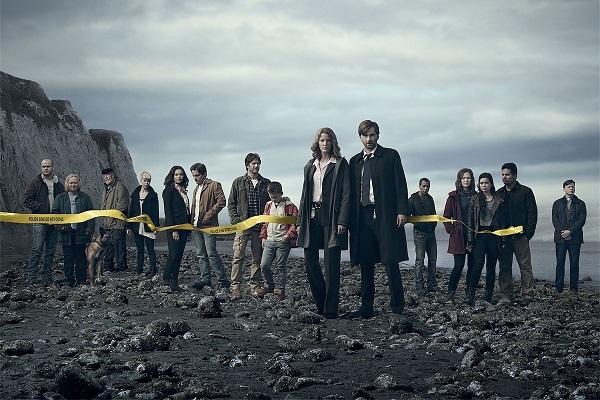 “Gracepoint” is a 10-episode miniseries adaptation of the recent British show “Broadchurch.” It’s reportedly faithful to the source material to the point of distraction; however, I have not seen “Broadchurch,” so I was relatively engaged by the first episode. It’s a quiet drama about how different segments of the titular town’s populace react to this boy’s murder, with just enough mystery thrown in to keep things moving. I like crime stories as long as they’re not straight procedurals. There’s a scene in “Gracepoint” that you rarely see on crime television. When local police detectives Ellie Miller and Emmett Carver (played by Anna Gunn and David Tennant, who is reprising his role from “Broadchurch”) inform the family of the boy that he was killed, the camera lingers to catch the reactions of the victim’s family members. The grieving breakdown of his sister and mother are affecting but expected; the episode’s most powerful image comes from father Mark (Michael Peña), who doesn’t know what to do, say, or where to put his hands. Peña’s face and body language portray a bewildered bereavement that signifies how much his life has been shaken. Not all of the show plays this powerfully. There are emotional moments that don’t hit as hard as the show would like, as well as some boilerplate drama conventions that fail to distinguish themselves in the early goings (Tennant’s shadowy backstory as an exonerated cop with something to prove is likely the worst offender). However, this is a limited commitment, and I’m intrigued enough to see where it goes. That’s a simplistic summary, but the idea is all over “Madam Secretary.” Tea Leoni stars as Elizabeth McCord, a former CIA wonk pulled out of the private sector to lend her no-nonsense, results-oriented style to the secretary of state’s office. There are walk and talks, people going off book because it’s the Right Thing To Do, and action that occurs off camera, only to be explained to the characters back in Washington. 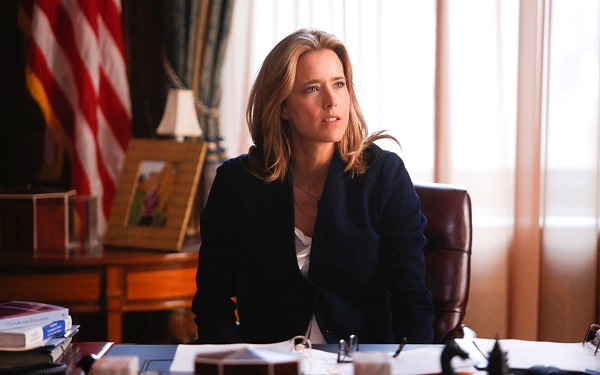 Unfortunately, the “Madam Secretary” writers are not career-best Aaron Sorkin and company, and Tea Leoni, good though she is, is not Allison Janney playing one of television’s best female characters in the last 20 years. It’s hard to do ripped from the headlines stuff well, especially if you don’t cut to the actual action overseas, but somehow the “West Wing” managed to pull it off regularly. “Madam Secretary’s” pilot tries to cheat by portraying some of the overseas action in its plot of two Americans being held hostage in Syria, but that comes off as less engaging than the drama at home, which doesn’t have the snap and urgency required to consistently hold the audience’s attention. To shake things up, “Madam Secretary” also creates a conspiracy about the death of McCord’s predecessor, which is simultaneously the most and least interesting part of the pilot. Normally, I’m all over a crazy cover-up in the nation’s political powerhouse, but here it’s so patently a distraction from the more run-of-the-mill secretary of state elements that it’s hard to embrace. This isn’t a bad show, and it might even improve to a decent one, but let its impact speak for itself: I watched the pilot on television the week it came out, and I didn’t write about it for last week’s reviews. I just forgot it existed.